Author and Professional Dating Coach Alan Roger Currie recently earned three awards sponsored by NegroManosphere.com for the 2017 calendar year including Best Dating Coach for Men on YouTube, Best Black Male YouTube Personality, and the website's 2017 Columnist of the Year. NegroManosphere.com, a website dedicated to serving the needs of heterosexual Black men both in the United States and internationally, began providing self-help oriented articles for their readers in December 2016. Hollywood, CA, April 23, 2018 --(PR.com)-- Alan Roger Currie, author of the best-selling book Mode One: Whisper Into a Woman's Ear What is REALLY On Your Mind, was recently named "Best Dating Coach for Men on YouTube" by NegroManosphere.com, which is a popular up-and-coming website for heterosexual Black men. 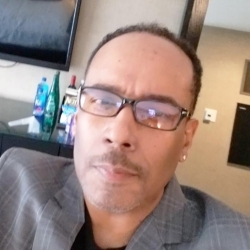 In addition, Currie earned the award for "Best Black Male YouTube Personality for 2017" as well as the NegroManosphere.com's esteemed "2017 Charles Tyler Columnist of the Year" award. Currie has been a book author and professional dating coach since 2006, and he has been a freelance columnist since 2009. Currie began his column on NegroManosphere.com in December 2016. Currie was born and raised in Gary, Indiana and is an alumnus of Indiana University in Bloomington, Indiana. Currie is also a member of Kappa Alpha Psi fraternity. Currie has been interviewed on national television and national radio, and has been featured in various magazines, newspapers, and other media publications. Currie offers Email consultations, Skype and Telephone consultations, and One-on-One / Face-to-Face Coaching sessions for his male clients. Currie has worked with clients in various cities across the United States, and has also worked with clients from many international countries including Australia, Brazil, Canada, Colombia, France, Germany, India, Mexico, Netherlands, Poland, Russia, Switzerland, Turkey, and the United Kingdom among others. Currie will be working with clients in Miami, Florida during the last week of May. Alan Roger Currie's column on NegroManosphere.com can be found here.